Sunflower seeds are a simple and portable snack, but if you aren’t going to eat the seeds on their own, you can use them in many different dishes, from salads to entrees to desserts. 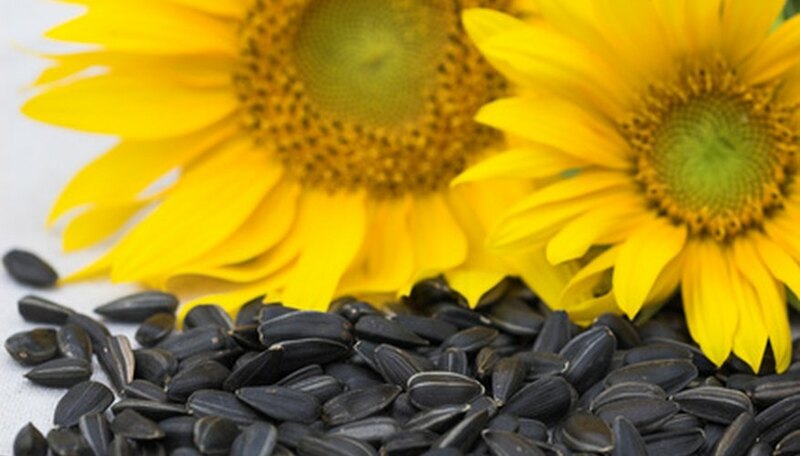 Before you can consume sunflower seeds, you’ll need to shell them, removing the hard casing to reveal the seed inside. While many people have perfected the skill of shelling the seeds in their mouths, this isn’t appropriate for food preparation, so a method that uses an electric mixer to break the shells open is necessary. Measure and place 1/4 to 1/2 cup of sunflower seeds into the electric mixer. Turn the mixer on and off multiple times to pulse the seeds in short two- to three-second bursts. Look inside the mixer and check for most of the shells to be broken up without many of the seeds inside being harmed. Depending on your mixer, this may take only a few pulses. Fill a bowl with cold water about 2 inches deep. Pour the broken shells and seeds into the water, emptying the mixer. Use the slotted spoon to scoop out the floating shells and discard, avoiding the sunken seeds at the bottom of the bowl. Repeat steps one through four to break up all of the seeds you need, a little bit at a time, place them in water and scoop away the shells. Pour the water and seeds into the mesh strainer and let the excess water run off. Put the damp seeds on a paper towel and press them with another paper towel to remove excess water. Sort through the seeds for any remaining shells and toss them out. Use the seeds right away for baking, or put them in a plastic bag and store for later use after they are fully dried. To have some extra seeds for snacking, break open more seeds than you need for immediate use and store them in a separate baggie.